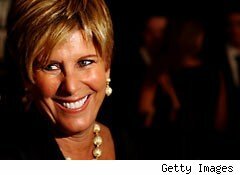 Suze Orman is trying to succeed where the Kardashians failed. The host of the popular TV money show is offering a new prepaid card that works much the same way as a debit card. Dubbed the Approved Card, Orman's offering seeks to do what similar cards haven't been able to do: offer a credit card alternative that doesn't charge you an arm and a leg. It was a little over a year ago that a prepaid card offered by the Kardashian sisters raised a lot of controversy. The card charged fees of almost $100 per year, not even including additional egregious fees for using the card in certain ways. One government official called the card "predatory" in its marketing, and the card got pulled off the market shortly after it was made available. By contrast, the Approved Card avoids many of those problems. It's not entirely fee-free; it costs $3 to buy the card initially, and after the first month, you'll also pay a $3 maintenance fee per month. But apart from two fees, you can do a lot with the card for at no additional cost. There's no fee for purchases. You can even pull money off your card at an ATM at no charge if you stay within the card's Allpoint ATM network and sign up for direct deposit or bank transfers to fund the card. In addition to the normal things a prepaid card can do, the Approved Card also gets you extra services. Credit rating agency TransUnion gives Approved Card cardholders free access to credit reports for a full year at no cost, while you'll also get identity theft protection included with the card. The card also comes with a service that lets you track and budget your money. Perhaps most importantly for some, the card doesn't let you spend more than you have on the card -- so you can say goodbye to exorbitant overdraft fees that most banks charge. Of course, many banks still offer free checking and debit cards to customers, so the Approved Card wouldn't be the least expensive route for every saver. Moreover, commentators have tried to figure out what's in it for Suze herself. But by tapping into the public hatred of banks lately -- and especially recent attempts to charge customers for debit cards -- Orman clearly has her finger on the pulse of the American public. And more importantly, the Approved Card is a step forward in an industry that has been fraught with peril for consumers for years. Motley Fool contributor Dan Caplinger is pretty sure he'll never issue his own prepaid debit card. You can follow him on Twitter here.